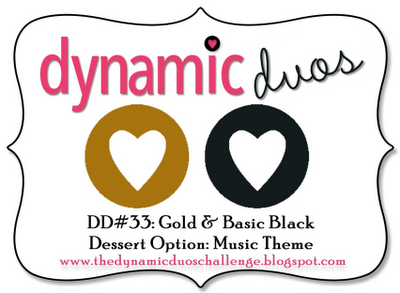 For this week's Less Is More challenge, to make an Anniversary card, and for this week's Dynamic Duo, Black and Gold. I was inspired by Shirley's card here. 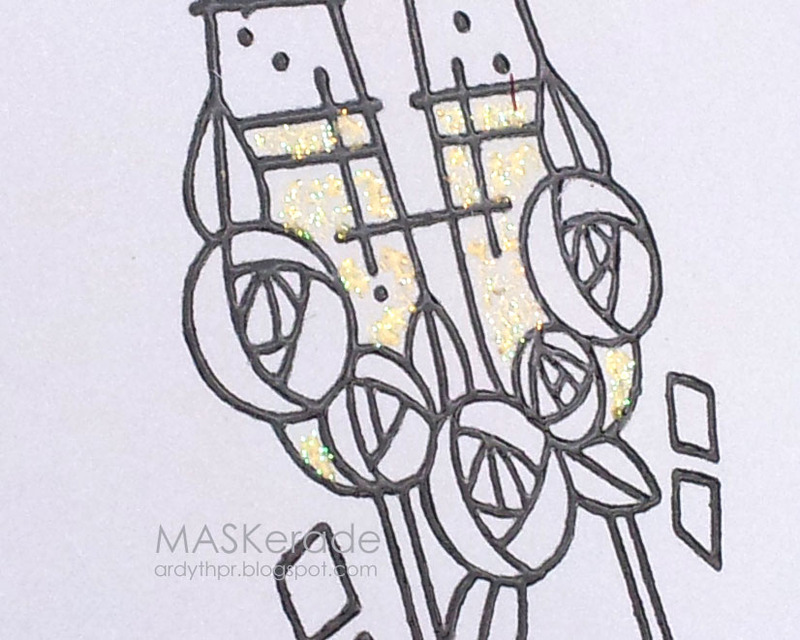 I love this Stampendous Glasgow Cheers stamp, in the style of Charles Rennie MackIntosh (look him up - he's a bit like a Scottish Frank Lloyd Wright, in my opinion). 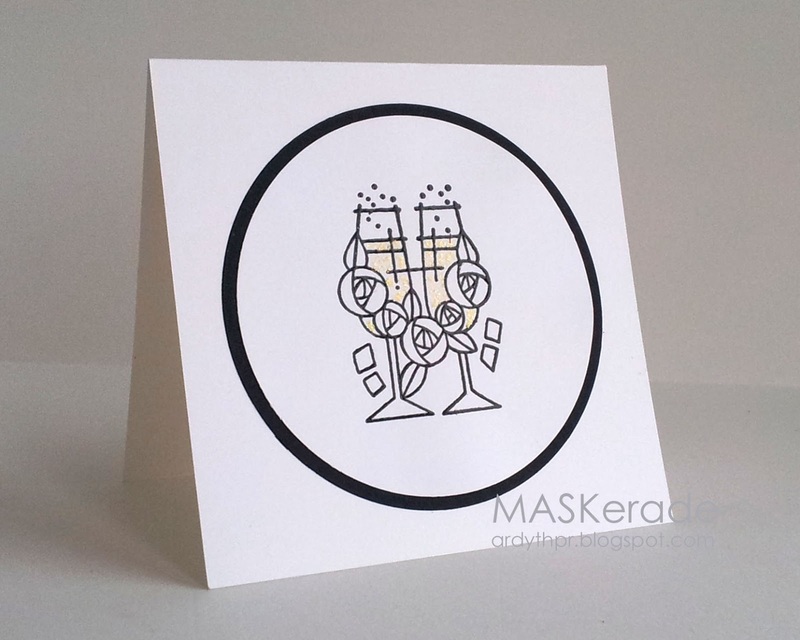 And I use it all the time, embossed in gold for weddings and anniversaries. wow! 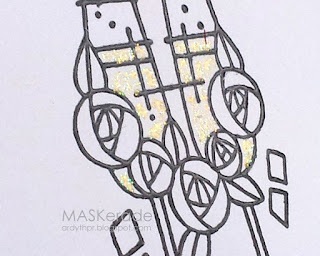 The slight touch of glitter is fabulous!! Love this!! 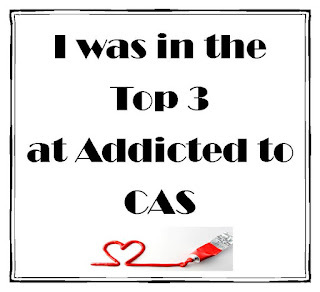 What an amazing CAS style card love your image and the touch of color is STUNNING. I tend to add more for photography sake but after seeing this I realize it's not always necessary. Thank you Ardyth for the inspiration :)!! Hugs and Blessings. Amazing! Such a beautiful CAS card. I love the touch of gold. Thanks for joining us this week at Dynamic Duos. Love the circle mat - works perfectly with funky looking flowers! Your anniversary card is delightful, Ardyth! Your design is so crisp, clean, and perfect. Love it! I'm pleased to have inspired you, Ardyth! And I've also got this stamp, so I could be CASEing yours! I love the delicate effect you've achieved on the champagne. Hi Ardyth, I love the touch of gold for the champagne, it looks fantastic. Great clean and simple card and wonderful use of the challenge colours. Thanks for sharing your card with us at Dynamic Duos. This image says it all Ardyth!